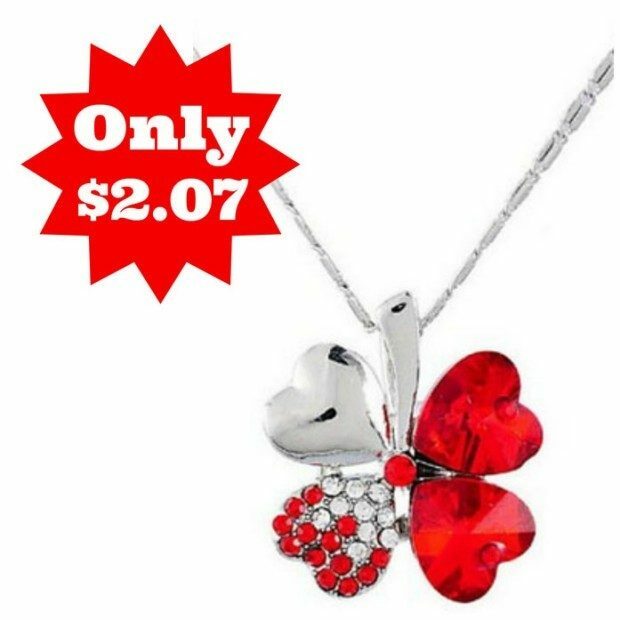 Lucky Clover Crystal Necklace Only $2.07 + FREE Shipping! You are here: Home / Great Deals / Amazon Deals / Lucky Clover Crystal Necklace Only $2.07 + FREE Shipping! LOVE this necklace! Right now, you can get this really pretty Lucky Clover Crystal Necklace for just $2.07 with FREE shipping! This won’t arrive in time for Christmas, but it will make a great addition to your jewelry collection or gift for an upcoming birthday! Here are the colors you can choose from: red, blue, pink and dark purple.